"I have been going to RIMG group for years. My overall experience is excellent. The staff is excellent! All of them go above and beyond!" Conveniently located in the Rockville/Potomac area, RIMG is proud to have cared for generations of Montgomery County families for more than half a century. Founded in 1952 by Dr. Steven Jones, the first board-certified internist in Rockville, MD, the practice has developed into a thriving multi-specialty group. A leader in the field of modern medicine, RIMG was one of the first to introduce a host of services such as electronic medical records and prescription ordering. We now perform a growing number of medical procedures on site such as advanced cardiovascular testing, pulmonary stress testing, ultrasound diagnostics, platelet rich plasma procedures, in-office endoscopy, and laboratory and radiologic facilities to mention a few. In order to coordinate care for our more complex medical patients, we participate in Patient Centered Medical Home programs. For your convenience, we offer same-day emergency acute illness appointments for current patients. Our physicians and staff look forward to being lifelong partners in your good health. A patient-centered medical home is a model of care where each patient has an ongoing relationship with a personal physician who leads a team responsible for that patient’s care. The physician-led care team provides for every patient’s health care needs and coordinates care across the healthcare system. 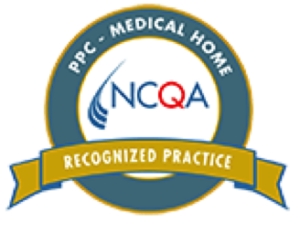 View the “What is the Medical Home?” video by the Patient-Centered Primary Care Collaborative.